This class consists of NIPPO MARU only, completed in 1936 for Okazaki Honten K.K. She was requisitioned by the IJA in ’38 and served until ’39 as Army transport No. 612. In Aug ‘41, she was requisitioned by the IJN and registered in Sep ’41 as an auxiliary water tanker. 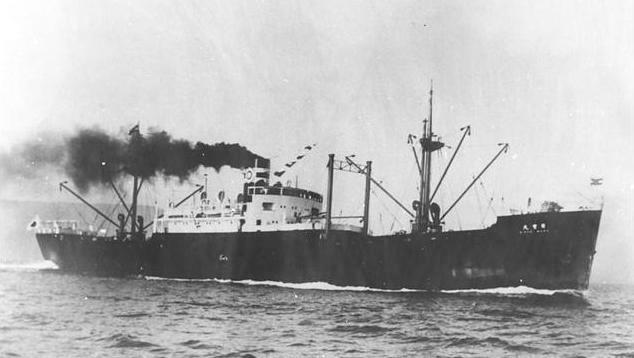 NIPPO MARU was bombed and sunk at Truk anchorage by American carrier-based aircraft during Operation Hailstone in Feb ’44. Builder and Year Completed: Kobe. Kawasaki Zosensho K.K. Propulsion: One steam turbine engine, one shaft, 2,700 s.h.p. Speed: 13 knots cruising, 15 max.